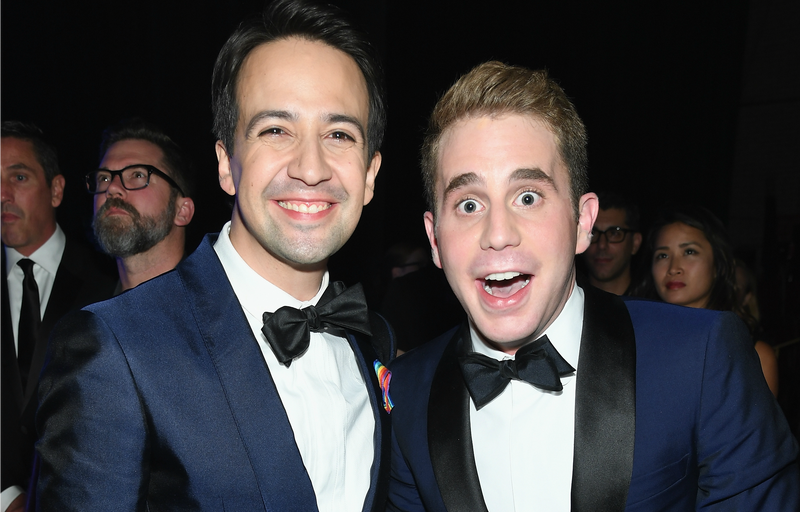 For his latest “Hamildrop,” Lin-Manuel Miranda has teamed up with fellow Tony winner Ben Platt, star of Dear Evan Hansen. Yesterday, the Hamilton creator and Broadway actor shared their collaboration, which combines “The Story Of Tonight”—in which four young rebels toast to life, liberty, and the pursuit of revolution—with the Pasek and Paul song “You Will Be Found,” a tribute to overcoming loneliness. The resulting track, “Found/Tonight,” was arranged by Hamilton and Dear Evan Hansen orchestrator Alex Lacamoire, and is already streaming on Spotify, Apple Music, Google Play, and more. It’s a solid mash-up, but Miranda and Platt are promoting more than just their combined musical talents—proceeds from “Found/Tonight” will benefit March For Our Lives, the student-led activist movement to end gun violence, which was founded in the wake of the Parkland shooting. So when Miranda calls it the “DC/Marvel crossover” of musical theater, it’s probably a reference to banding together to do good, rather than imagining Captain American duke it out with Superman.